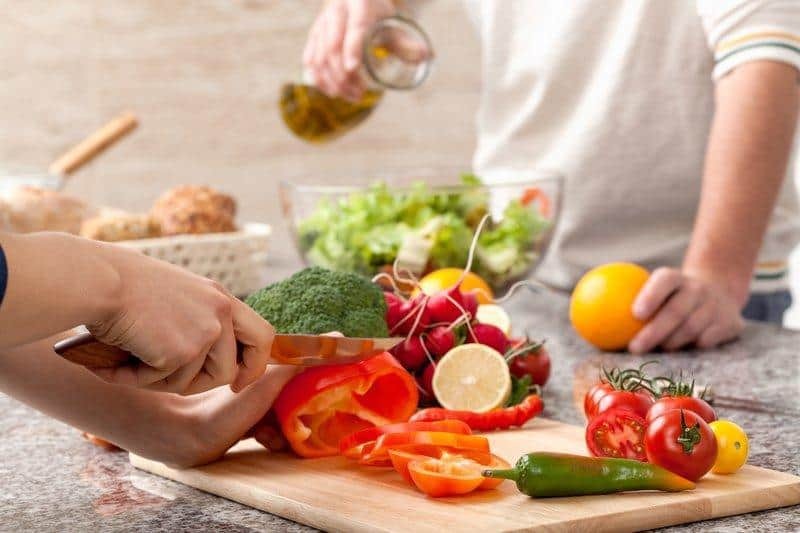 You’ll be happy to know that some of the best weight loss tips don’t require any drastic or sudden lifestyle changes, just small changes designed to add up over time. 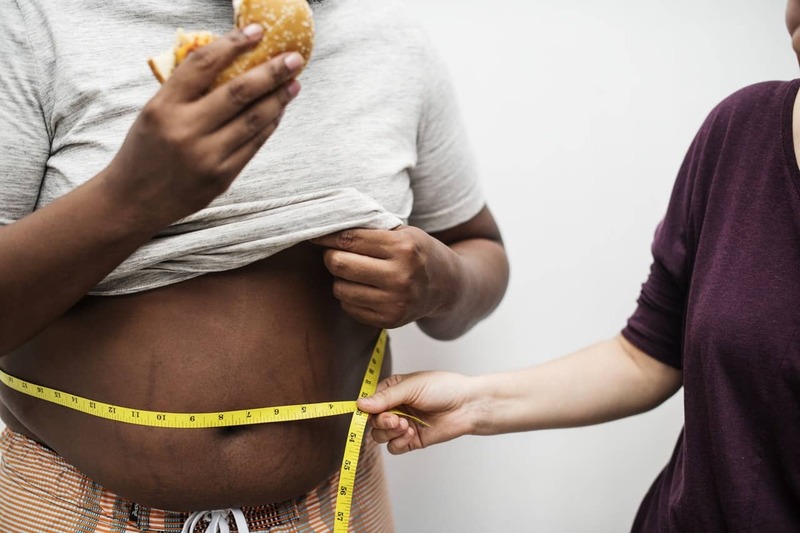 Despite many popular misconceptions, we’re here to tell you that quick and safe weight loss is possible—just ask the experts. 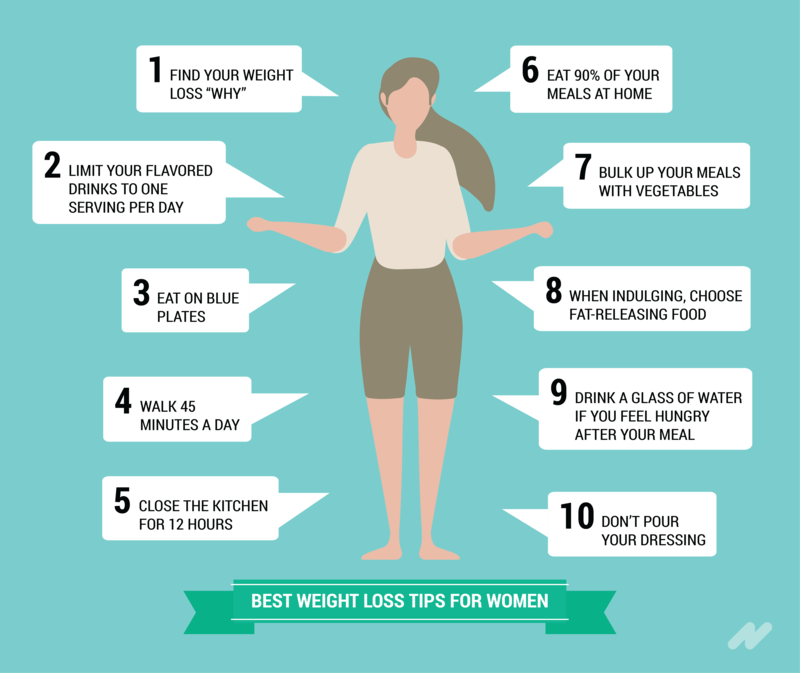 We all know it can be highly discouraging to start a weight loss plan or follow specific weight loss tips and not see immediate results. It’s been proven that quick weight loss gives us the mental boost we need to stick to new found habits, routines, and diet plans to achieve long-term weight loss goals. 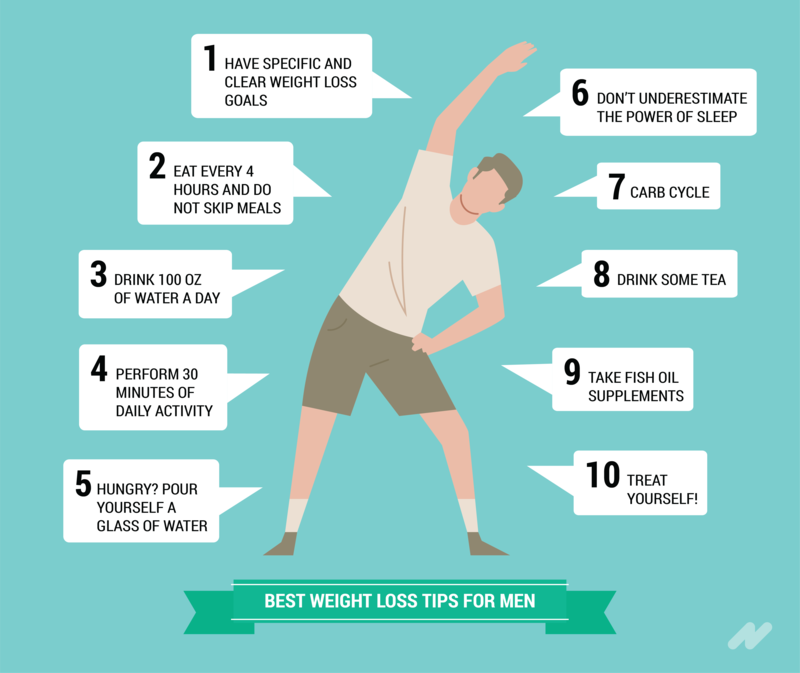 We’ve compiled a list of weight loss tips for all genders and schedules to jump-start your weight loss journey and achieve quick results. We all make the mistake of confusing hunger with thirst especially when we feel that our food intake is being restricted. Next time you walk into your kitchen try pouring yourself a glass of water instead of reaching for that calorie-packed snack. You’ll be surprised that what you previously confused as hunger turned out to be a mild case of dehydration. Because most of us are visual eaters, placing a small amount of food on a large plate tends to make us feel as if we have not served ourselves enough food. By eating your meals on smaller plates, the plate tends to look filled which in turn allows you to feel more satisfied. You don’t need to deprive yourself. One of the best weight loss tips to follow if you want to stop drinking sugary soda is to find a replacement drink such as seltzer or flavored water. You can even start by consuming the diet variety of your favorite soda. Quick weight loss is all about being aware, so you make better daily choices. Tracking meals have proven to help people see results in just a week. MyFitnessPal is a great free app where you can track everything you consume in a day and see how well it aligns with your weight loss and fitness goals. Sugar is one of the most addictive ingredients in our diet. This means that the more sugar we consume, the more our body will ask us for it. The first week of no added sugar will prove to be challenging, but after several days you’ll notice just how well your body can function without it. Keep in mind that not all sugars are bad for you. Sugar that comes from whole foods such as fruit is an essential part of a balanced diet. Don’t fall into a rut with your workout routine. It’s a good idea to switch things up and attend a class you’ve never tried before, or switch the cardio machine your always on. A good interval workout can provide an effective and challenging workout session in a short period of time. 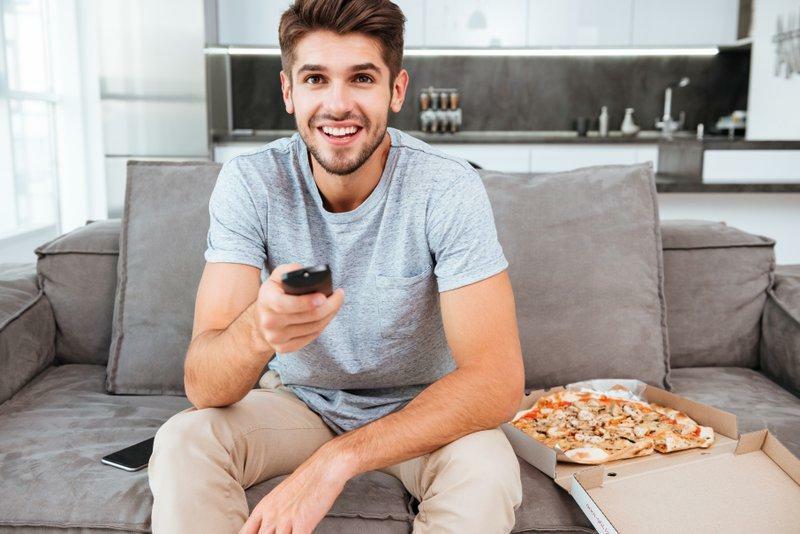 Gentlemen, we’ve got some good news for you: there is no need for an overly restrictive or complicated diet plan to achieve quick weight loss results. Even the smallest adjustments and lifestyle changes can result in significant weight loss. 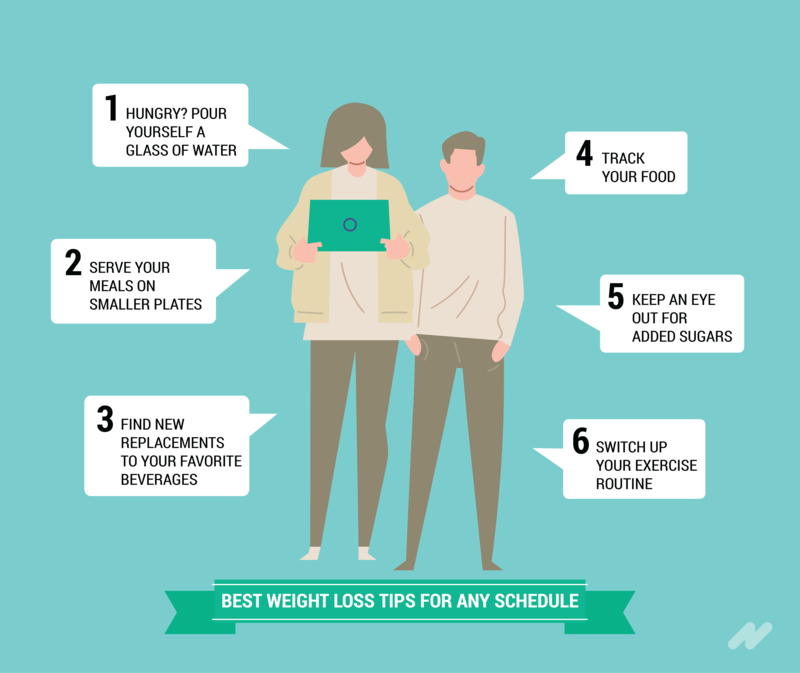 Keep in mind that although there are quick-fix methods to weight loss, the objective is to make long-term changes to lose weight and keep it off. Your health and fitness goals should be SMART. This means they should be specific, measurable, achievable, realistic, and time-bound. The more specific you make your goals, the easier it will be for you to stay on track. Writing down your goals can serve as a daily reminder to keep grinding, even on the days when you feel like giving up. This is also an excellent way to track the progress you’ve made throughout your journey and make adjustments along the way. 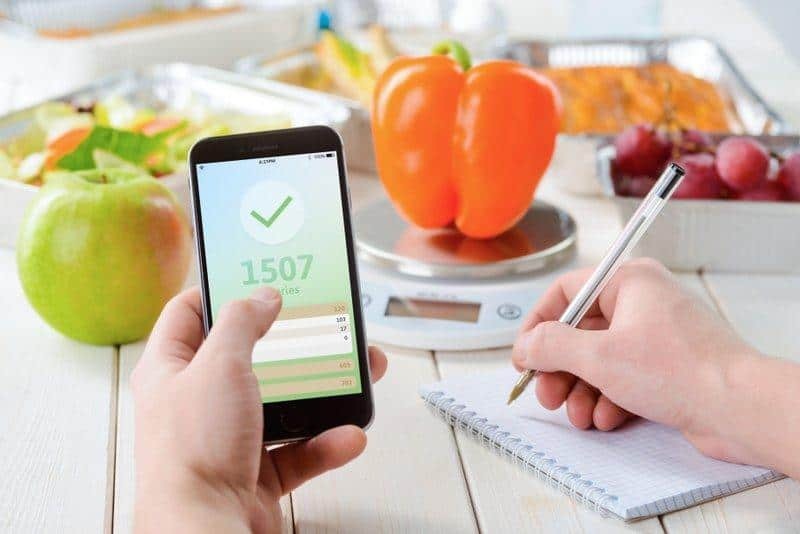 Research has shown that individuals who keep food diaries eat about 15% less food than those who don’t track their calories at all. Check out this Fitlosophy Fitbook fitness journal and planner for workouts, weight loss, and exercise. Eating more frequently can stabilize your blood sugar levels and control your hunger. 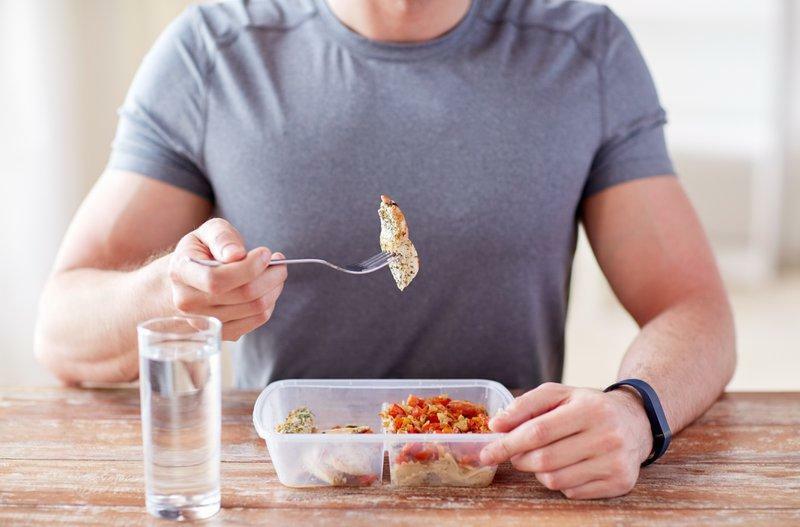 If you’re always running around and have a busy schedule, it can be somewhat difficult to fit 6 meals into one day. Aim for 4 meals a day and try to avoid skipping meals, as this will lead to you feeling starving and lead to overeating later in the day. All of your meals should contain a balanced mixture of whole foods. The breakdown of the food groups should be as follows: 40 percent proteins, 35 percent carbs, and 25 percent healthy fats. The Huffington Post has a great article on how to make a macronutrient balanced meal. Proper hydration is essential to achieve optimal performance in the human body. 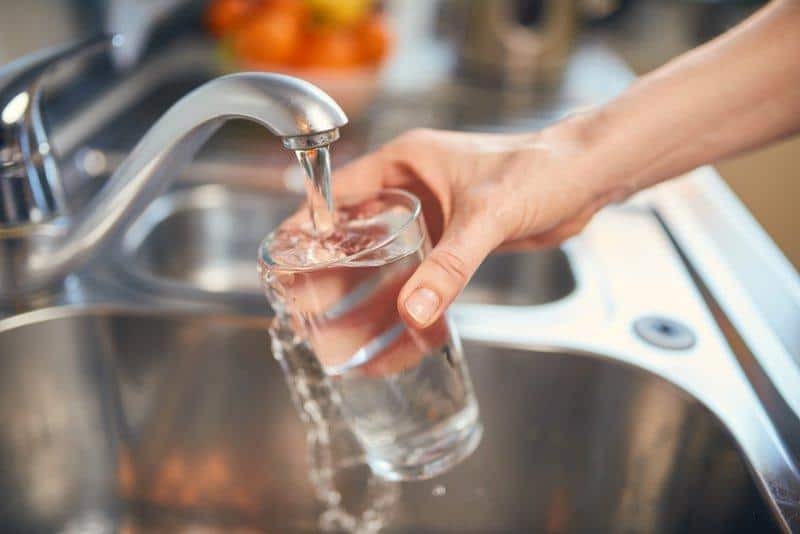 In fact, studies published in The Journal of Clinical Endocrinology & Metabolism states that increasing water intake by just 500ml increases metabolic rate by 30% in both men and women one hour after ingestion. Your hydration goal should fall somewhere between 85 – 100 oz of water each day. Research has shown time and time again that a good meal plan and 30 minutes of exercise is all you need to start seeing weight loss results in just days. The trick, however, is to find a workout activity you enjoy enough to stick with! Your 30 minutes of daily activity does not have to take place at the gym. You can walk the dog, go for a swim, jog to the clubhouse, or do yard work for a half hour. 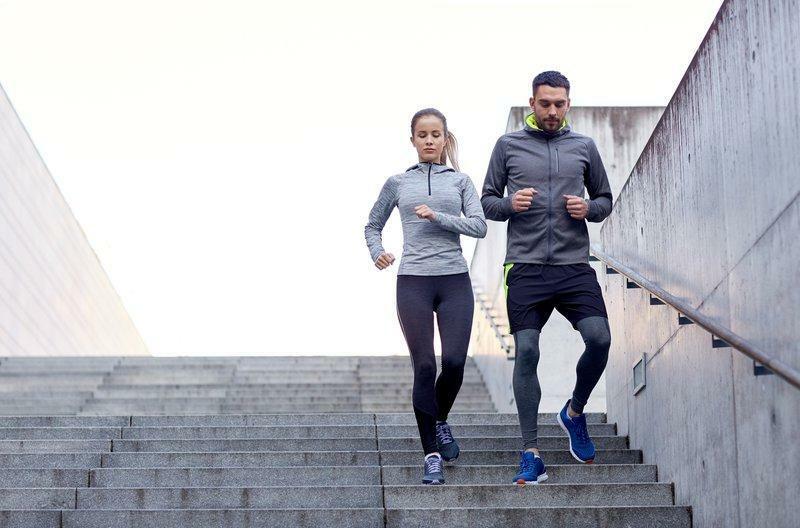 We advise against intense workout plans when you are first starting, as this can lead to a lack of motivation after just one week of exercise. 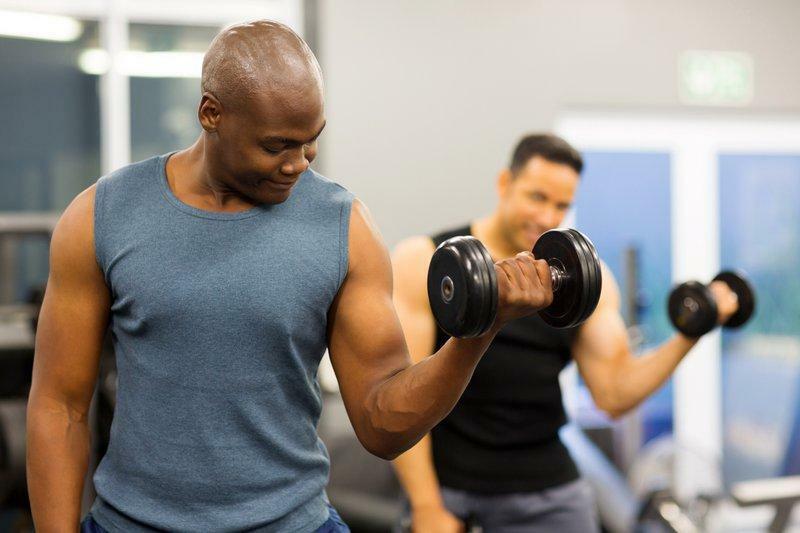 One of the best weight loss tips for men we can offer is to incorporate building muscle mass as you progress through your weight loss journey. Performing activities that increase muscle tissue will allow you to shed pounds of body fat and burn calories more efficiently. A good body-weight circuit carried out 3 x per week is a good place to start. Depriving yourself of sleep can seriously impact your weight loss results. During sleep, your body burns fat and regulates all your key metabolism hormones. A lack of proper sleep can be counterproductive and lead to muscle loss instead of fat loss. It is highly recommended that you cycle your carb intake based on your activity level. Carbs are an essential part of our diet, but on the days we don’t work out we simply do not need as many carbs. Build a carb schedule around your exercise routine. Rule of thumb: The more active you are, the more carbs you can eat, and vice versa. One of the best weight loss tips for rapid weight loss is to drink plenty of tea! Research suggests that those who drink tea tend to have lower BMIs and less body fat than those who don’t consume tea at all. So whether you like black, green, or white tea, it’s time to start incorporating it into your diet plan. Omega 3 and omega 6 fats help the body accumulate less body-fat. Omega 3 fatty acids are also essential nutrients that are important in managing heart disease. Read up on all the benefits of fish oil supplements. It’s ok to have a planned cheat meal to satisfy your cravings. In fact, it’s recommended to plan out cheat meals in advance to avoid a total detour of your health plan. The higher calorie intake provided by your cheat meal will help your body maintain energy levels needed to continue dieting and exercising. Ladies, we all know that change can be hard but is usually worth it. Naturally, we want everything immediately and often seek to change everything all at once. However, it’s important to keep in mind that it’s the small, simple changes that can lead to significant results and make all the difference in the long run. Successful weight loss comes down to finding the deep, driving human emotion inside of you that will empower you to stay motivated and consistent throughout your weight loss journey. 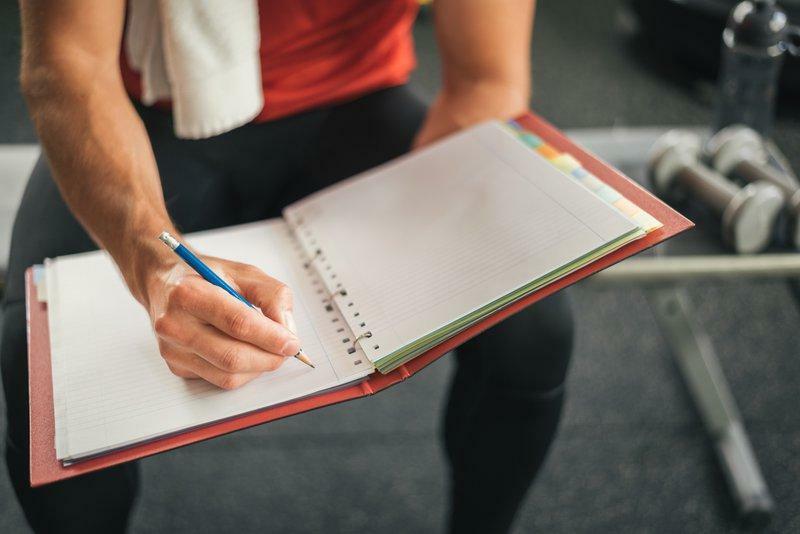 One of the best weight loss tips we can give you is to find the why, write it down, and keep it as a daily reminder of the underlying meaning behind your weight loss goals. It is okay to have one low-calorie, flavored drink with one meal—preferably breakfast. However, you should focus on staying hydrated throughout the day with water. The average American consumes an extra 245 calories a day from soft drinks. In addition, research has shown that sugary drinks dehydrate you more than they satisfy or quench your thirst! A secret weight loss tip for women that a lot of experts recommend is eating on a blue plate– the blue color acts as a natural appetite suppressant which is why many restaurant chains opt for blue decor. Eating on a blue plate can help you eat till you feel satisfied rather than uncomfortably full. A Duke University study found that three miles of brisk walking can help you lose 30 pounds in just one year without making any adjustments to how you eat. 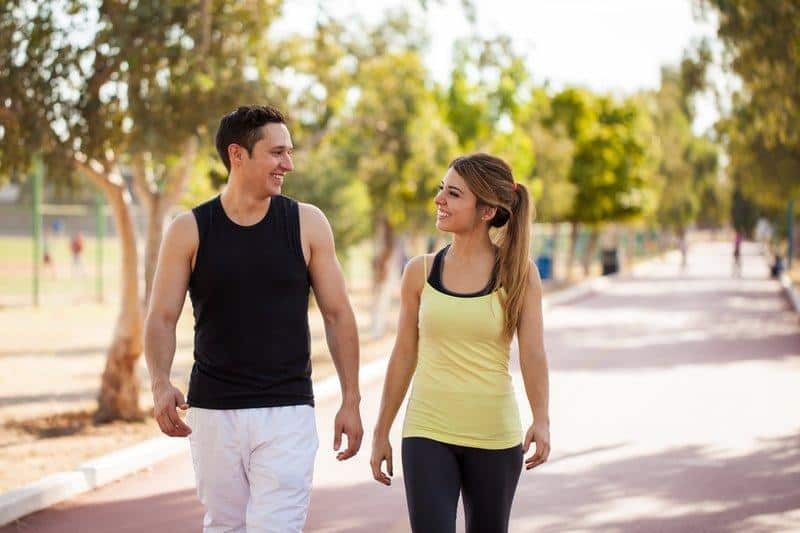 If walking is your preferred method of staying active, consider walking 45 minutes a day as one of the best weight loss tips you can implement today. Those excessive late night snacks can add up. A lot of experts rave about the quick weight loss results that intermittent fasting can have. Make a conscious effort to close the kitchen after dinner and not reopen until breakfast time. This is one of the best weight loss tips for women who are looking to slim down and save money while doing it! Consuming homemade meals can have a drastic impact on how quickly you shed those first 10 pounds. Homemade meals allow us to control exactly what we put into our meal and later into our body. Eating at home can help save money you would otherwise spend on a high-fat, high-calorie, overpriced meal. Read up on the benefits of eating at home and how your kitchen setup can help you lose weight. If you eat a 1:1 ratio of grains to veggies, the high-fiber veggies will help satisfy your hunger before you overeat the grains. Fiber can also help regulate your bowel movements throughout the day. Vegetables are also generally lower in calories than other food groups. Indulging every once in a while can keep you from feeling deprived and bingeing on higher-calorie foods. Dark chocolate is packed with fat releasers that can help the breakdown of fat in the body. Here is a list of the top 10 fat-releasing foods. One of the best weight loss tips to follow is this general rule of thumb: if you’re still hungry, drink a glass of water. An excellent way to prevent overeating during any one sitting is to drink a glass of water and wait 20 minutes. If after these 20 minutes you still feel hungry, then you have the go-ahead to eat a little more, always being mindful of the additional calories. Instead of pouring your dress all over your salad, simply dip your fork into the dressing and proceed to consume the next leafy bit of your salad. 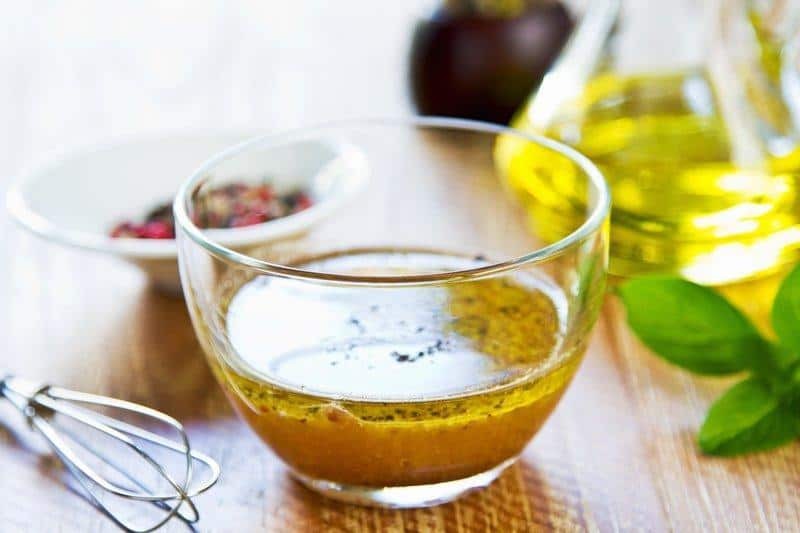 You’ll be surprised at the amount of dressing you don’t use and the number of calories you save with this simple tactic. Apple cider vinegar is derived from a two-step fermentation process. Apples are crushed and combined with yeast in order to turn the fruit sugar into alcohol. After this fermentation takes place, bacteria is added to turn the alcohol into acetic acid. Apple cider vinegar is continuously cited as one of the best weight loss tips when it comes to quick weight loss. But does it actually help you lose weight? Animal studies suggest that the acetic acid in apple cider vinegar may promote weight loss in a variety of ways. However, further research is needed in humans to confirm the weight loss and health effects that this substance can have on the body. One research study in Japan did result in weight loss for participants. In this study, obese people who took 1–2 tablespoons (15–30 ml) of apple cider vinegar daily for 12 weeks lost weight and body fat. Although nothing is definite, the research on apple cider vinegar does look promising. It has proven to lower blood sugar and insulin levels in pre-diabetic individuals. 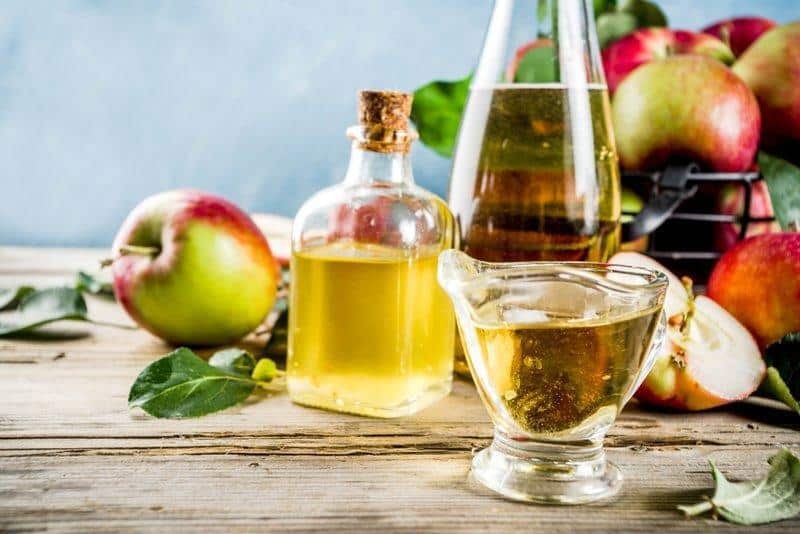 Studies in diabetic and normal rats and mice found that apple cider vinegar increased “good” HDL cholesterol, as well as reduced “bad” LDL cholesterol and triglycerides. 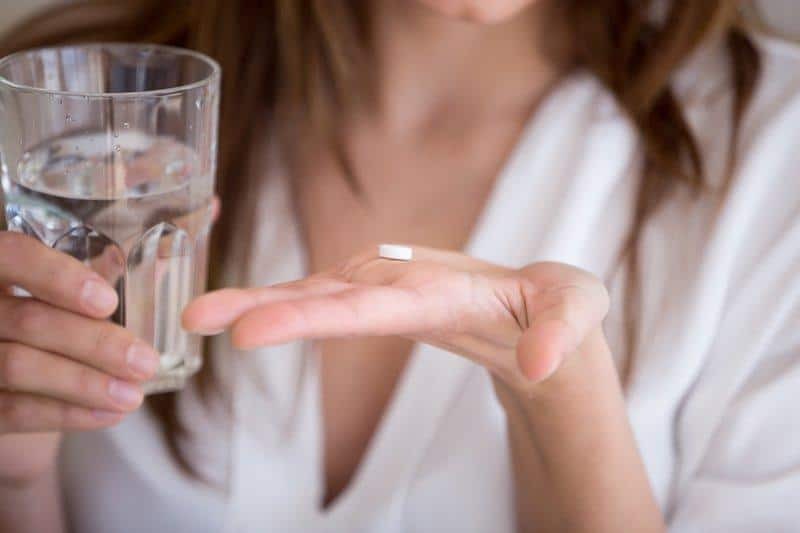 When it comes to the best weight loss tips for both men and women, it is essential to know which antidepressants actually help with weight loss. In addition to prescription drugs ability to treat depression, they can have a significant impact on your weight. It is important to note that most antidepressants only alter weight for a short period, as most weight gain or weight loss that comes from these prescription drugs is temporary. Bupropion is the only antidepressant that combats depression by increasing both noradrenaline and dopamine protein in the brain. This antidepressant is believed to contribute to weight loss efforts as both these proteins are involved in the regulation of appetite, feelings of fullness and eating habits. This antidepressant is used to improve your energy level and feelings of well-being. It works by restoring serotonin in the brain. Taking Celexa can lead to a loss of appetite and in turn contribute to any weight loss. Fluoxetine, which is found in Prozac, is used to treat depression, panic attacks, OCD, and eating disorders such as bulimia. It can significantly reduce appetite and the urge to overeat. Sertraline is the key ingredient in Zoloft used to treat depression, social anxiety, and post-traumatic stress. This is one of the antidepressants that help with weight loss due to an increase of serotonin in the brain and a loss of appetite.